An officer takes measurements of an aspirant during an army recruitment, at Danapur near Patna. 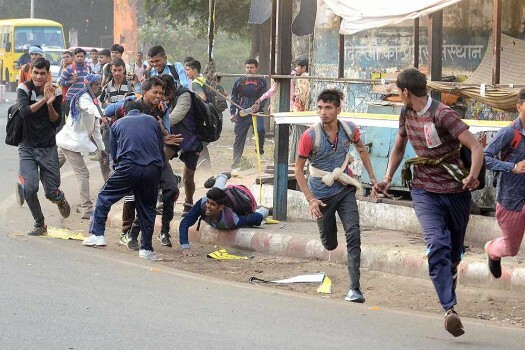 Police lathi-charge on the candidates after they created chaos while protesting over lack of refreshments during an Army Recruitment Rally in Jabalpur. A youth from Kalakote area in Jammu and Kashmir was stopped for checking by Army personnel in Poonch when he was found moving under suspicious circumstances outside the Army Town gate.